Today I have my three most recent Lynnderella manis for your enjoyment and all three are from the spring Bunny Magic core collection. 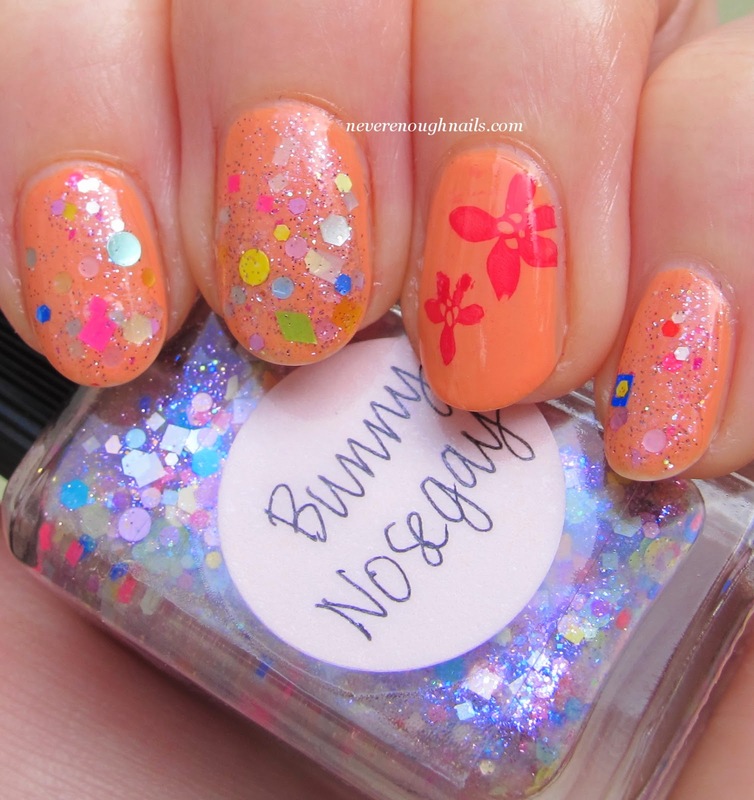 Lynnderella Bunny Nosegay is a multiglitter with many colors of both pastel and neon glitters in a multi-colored shimmer base. The shimmer in the base is SO gorgeous in person, it flashes pink, purple and blue and really adds dimension to the polish. 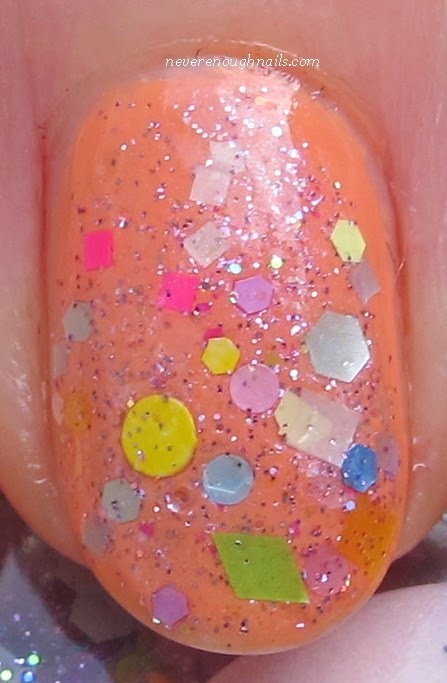 I always love Lynnderella's multiglitters, the colors look so cheerful all together. 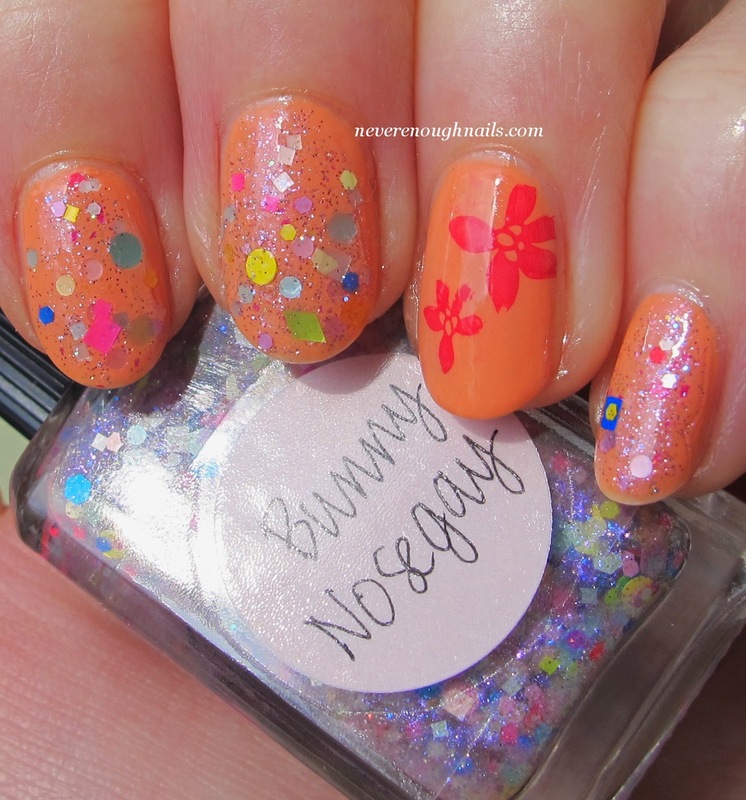 This is one dabbed coat of Bunny Nosegay over two coats of China Glaze Peachy Keen. I stamped the flowers on the accent nail with China Glaze Heli-Yum. I'm really into stamped accent nails at the moment. I haven't stamped in forever, so I'm trying to get better at it too, haha. The flowers look a little bit melted, but I tried! Lynnderella Bunny Robin is a sky blue microglitter in a heavily pink-shimmered base. The resulting effect is almost like a pink/blue duochrome at times and it's really lovely. 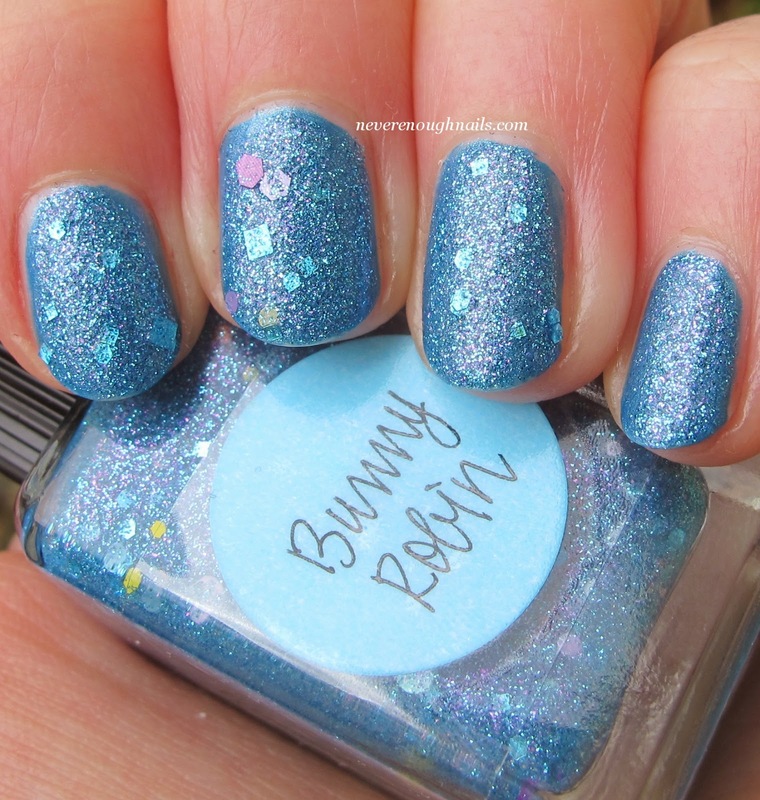 Bunny Robin also contains some larger pastel blue, pink and yellow glitters, both matte and shiny. This is definitely a unique polish, thanks to the strong pink shimmer. I wish it showed up a bit more in my pictures. You can see it on the ring finger in the picture above, but it's more obvious in person. You could definitely wear Bunny Robin alone in 2-3 coats, but I layered two thin coats over OPI Dining Al Frisco. 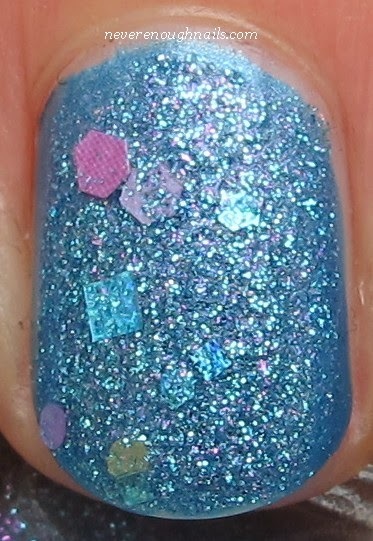 Lynnderella's microglitters are very easy to use with or without a base. I like that because it makes them more versatile. 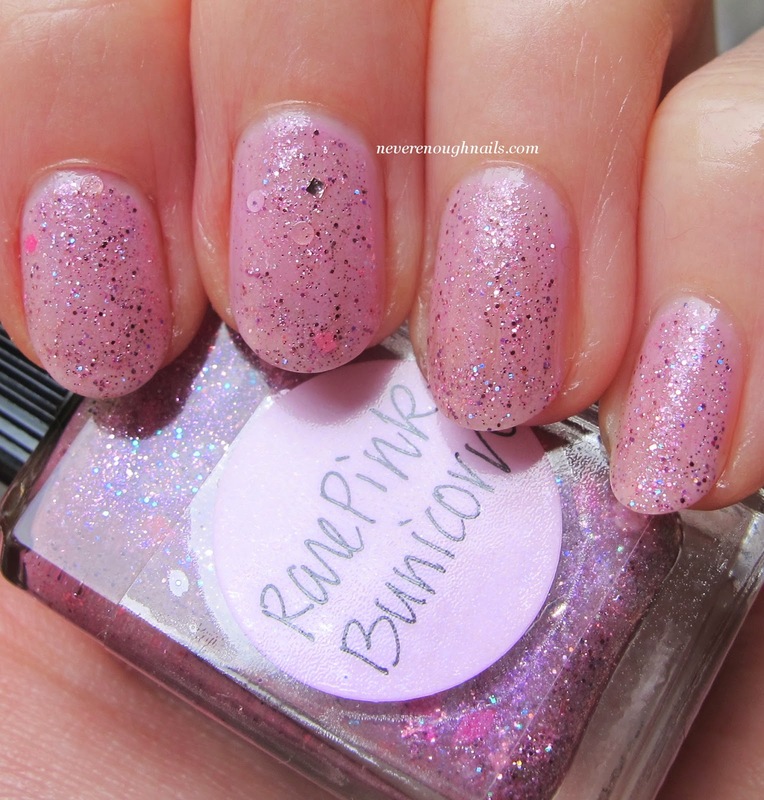 Lynnderella Rare Pink Bunicorn is another microglitter, this time it's a shade of delicate pink. Lynnderella says this one has "pink, white and neon pink microglitters accented with assorted pink glitters in a pink-shimmered clear base". It's a lot of pink! 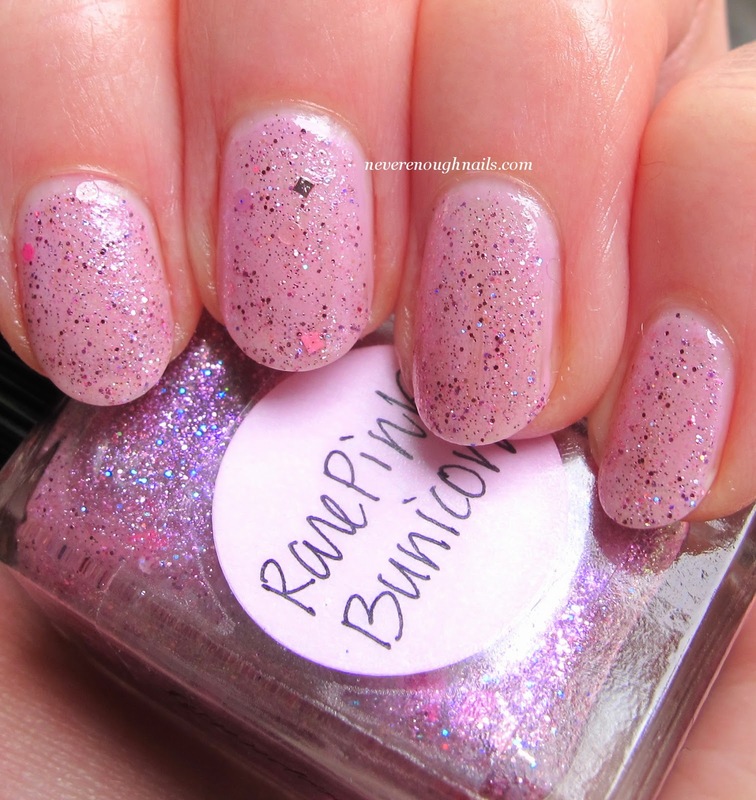 Rare Pink Bunicorn seems to be more sheer than other Lynnderella microglitters I have tried. I used one coat over OPI Lucky Lucky Lavender for this mani. I tested it alone without a base on one nail and felt like it would need 4 coats for opacity, but I have seen others wear it alone in just 3 coats. I hate to do 4 coats of a Lynn, so I decided to use a base! Conserve the pretties! The Lynnderella Bunny Magic collection is available now at lynnderella.com, Glitter Connect and Norway Nails. Also, congratulations to Jessi, the winner of my $25 in your Paypal account giveaway! I will have a polish giveaway in about 2 weeks, so hang in there! *I purchased all of the polishes in this post, except for OPI Dining Al Frisco (sent for review). It is gorgeous in person! The pink shimmer is extra special!